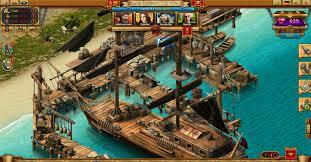 Shiver me timbers, there is another free to play browser game that has been based around the exploits of pirates. 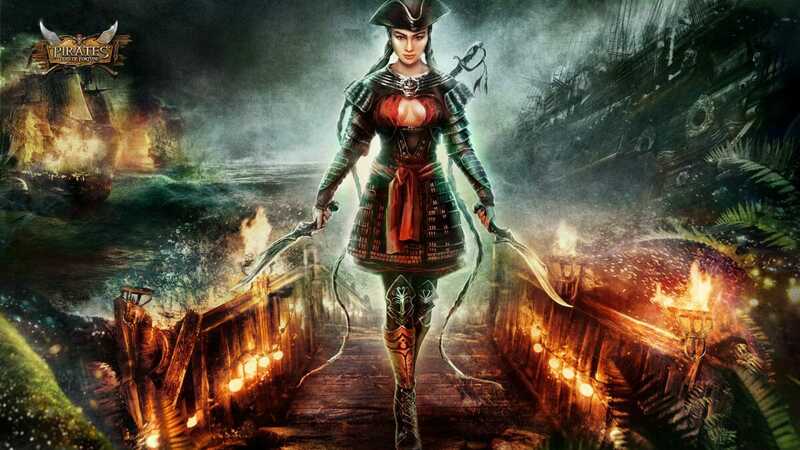 Pirates: Tides of Fortune from DotMMO, is a hugely social strategy game that once again has you sailing the seas as an aspiring pirate alongside an experienced woman pirate that has taken you under her wing in order to show you the ropes. You begin the game with your own little island haven and have to go about building it up to allow it to become self-sustainable. You will have to construct gold mines, lumber yards and of course rum distilleries that will all serve a purpose at improving the way of life for those that live upon your island. These resources will also be used to hire the sort of men and women needed for your army, which will be charged with defending your island and raiding others. 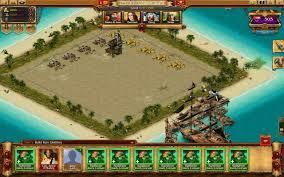 There is quite a bit more than just that however, as you will also have to create trade relations with other players, do the appropriate research to improve weapons, defenses and structures and also ensure that everybody on your island is happy. 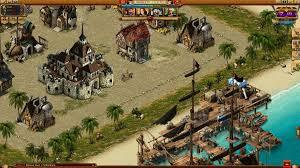 Many other games in this genre will reward you for simply sitting around and clicking on certain buildings and upgrading them, whilst Pirates: Tides of Fortune is so much more than that. 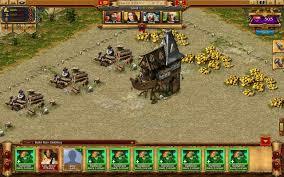 It is a strategy game that actually requires a bit of strategy when deciding which buildings to build or upgrade. There is a multi-layered approach to the city building which results in it being a deep strategic process as to what to build next. This will all take a long time too, so making the right decision is very important. To get a feeling of how long this game will take to master, just the tutorial itself will take a good few days to complete. You can skip certain parts of this tutorial if you so wish but this is not really recommended if you do not want to miss anything important with regards to the game. One of the core aspects of this MMO is the research of better technology for your ships. To do this, you first have to collect the required ‘sketches’ which are given to you when you log in each day. Miss a day, you will not get your daily award. Additionally, with so many sketches available, you might not always get the ones that you want, meaning you will have to make trades with other players. The graphics in Pirates: Tides of Fortune are very high quality with extremely well detailed objects and some cracking animations too. The game also has some good quality voice acting, although this can be turned off if you so wish. The high quality graphics are a great plus for this title but if you are running a low-end machine, you may find that everything is just a little choppy. Pirates: Tides of Fortune will certainly not be for everybody, especially because of the extremely slow pace that the game runs at. Everything takes time and lots of it, so if you are after something a little faster, you might have to look elsewhere. For lovers of the pirate theme however, Pirates: Tides of Fortune will definitely be right up your street and should certainly be tried out.